I went on holiday and I READ! Oh holidays, why do you have to come to an end so quickly? If you are a smart arse and have just thought, “Because they are holidays…duh”, to you I say, “shhh…let me wallow in peace”. I just *know* that you would love to know what we (by which I mean Boyfriend and me…I don’t use the “royal we”) have been doing. And if you don’t, I’m assuming that you’ve already clicked ‘Mark as Read’ and toddled off. If you’re still here, I love you. SO last Thursday, we arrived in Aachen to GLORIOUS sunshine. It’s a gorgeous little town that has a lovely, relaxed atmosphere so we spent the day just ambling around, scoping out what we fancied doing on Friday when we weren’t exhausted from getting up at 2.15 in the morning to travel, eating and soaking up some sun in the park while I read and Andy tried to plan our next few days (because he is one of life’s Planners where I am a little more relaxed…). Friday was Tourist Day. 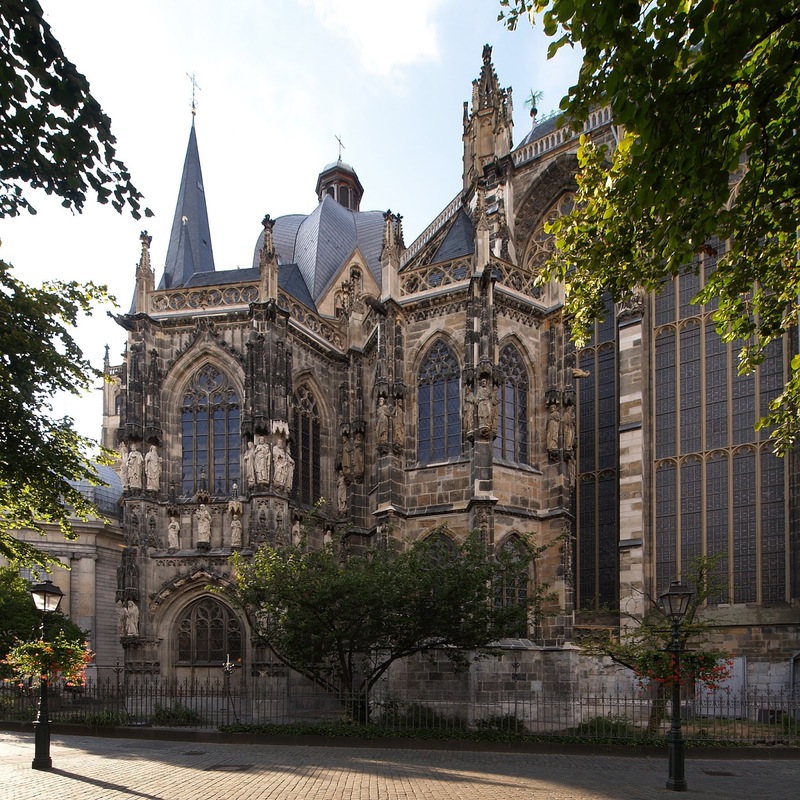 We did a guided tour of Aachen cathedral (which is gorgeous), noseyed around the treasury and the Town Hall. The town is smaller than where we’ve been before and less obviously geared up for British tourists so Andy and me brushed off our rusty German and did our best. I am under no illusions that we weren’t spotted as clumsy English folk a mile off but at least we tried and managed to avoid pointing and/or shouting English into people’s faces. I used to love learning languages at school and college so I did actually kind of enjoy the trying after our first few efforts didn’t result in us looking too foolish and managed to get us what we’d been trying to get, miracle of miracles. Sehr gut, indeed. Saturday and Sunday were for the Formula One! I bought Boyfriend tickets for Christmas so it’s been a long time coming. It was frantic, tiring, loud, overwhelming and BRILLIANT FUN! We were in general admission so didn’t have seats and basically had to plonk our newly acquired camping stools (newly acquired because I do not camp. Ever.) wherever there was space on some grass. It had a kind of festival atmosphere (I imagine…not being one for hanging out in the mud, I’ve never actually been to a festival…) and was lively and there were people there from all over the world and it was just…well, fun! Plus, the grand prix was in a French-speaking part of Belgium and my French is much better than my German so that made life easier for a little while. And I ate waffles. Delicieux! So it was a jam-packed, really exciting but also relaxing (weirdly) few days. And with all the bumbling and travelling, I read PLENTY. Eventually reviews will follow but here are the headlines. 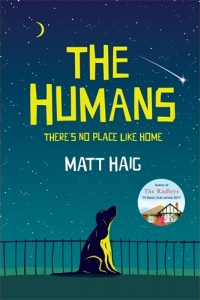 I finished The Humans by Matt Haig and my GOODNESS is that one heck of a book. I absolutely, totally and completely loved it. There are some very beautiful chapters that are just so uplifting. A new favourite! In a fit of bravery, I took inspiration from Ellie’s recent Herbert read and thought I’d go with something a little outside what I’d normally read. I always think being on holiday is like a freebie for books so that you can use the time that you wouldn’t normally have to read something different. I went with The Secret of Crickley Hall by James Herbert. It wasn’t as creepy as I was expecting (which to me is a GOOD thing!) and I actually enjoyed it. It was a little over 500 pages and if I’m honest, it was a bit too long. A bit too much foreshadowing and hinting and I’d guessed a lot of the “twists” a good number of chapters before Herbert did a Big Reveal. A little more credit for readers’ IQs would be good, I think. 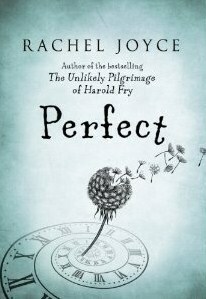 And then at the airport on the way home, I started Perfect by Rachel Joyce. I’ve had The Unlikely Pilgrimage of Harold Fry for quite some time now but haven’t actually read it. I got Perfect on NetGalley, though, so it got bumped up my list a bit. I do also want to mention that I flipping love that cover. So far, I think I really like it. Half of the chapters are so sensitively written about just how debilitating mental illness can be and how detrimental some treatments were in the early 1970s. The other half I’m not 100% sure about yet but I think when everything starts to dovetail, it will all fall into place. In short: I went on holiday, it was great and I read some books. What more can you ask for from a week, really?! What have I missed?! I know I missed Bout of Books and that was disappointing but I read TONS so really I only missed the updating and tweeting and stuff…see how I try to include myself retrospectively? Sad. TELL ME if you’ve read something great while I’ve been away that I need to line up for my next trip!